Previous Previous post: How Deep is your Internet News? I disowned about 100 pounds of Windows/PC computer parts this weekend. I say “disowned” because I’ve not completely gotten rid of it all. I am vaguely aware that there are environmentally-right and -wrong ways of disposing of electronic equipment, but since I have (obviously) been hoarding/collecting them for so many years (hoarding the spare parts, collecting the UX devices — even post-purge I will still posess almost every mouse, mobile phone, and PDA I’ve ever owned), I don’t really know precisely how to get rid of them properly yet. So for the time being most of the to-be-discarded circuitry is piled up in the corner. Look for a Household Hazardous Waste Collection in your area. Some cities have permanent drop-offs for these types of things and some have local collection locations. You can always do Ebay if you want to try the reuse angle. Yeah. 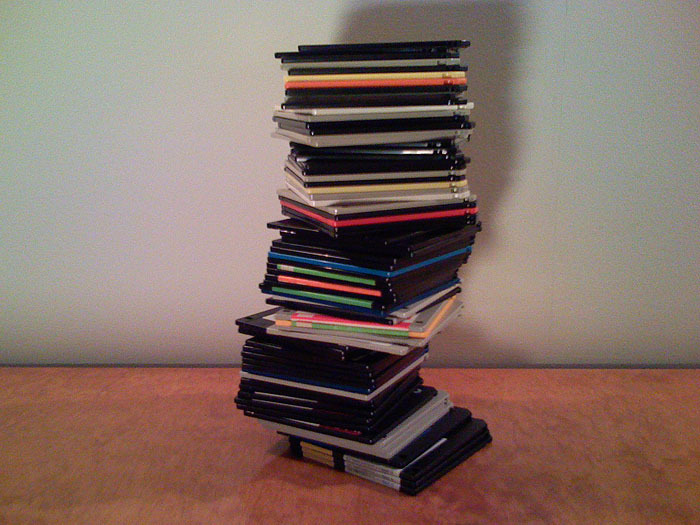 What I really need to find is a place to safely recycle old hard drives — ones that are guaranteed to take the industrial-grade magnet to them. After all, when these mechanisms break down, there’s still important data on those platters. @Killian Tobin: Thanks, that’s exactly what I needed! This made me think of all the floppy discs my mum has accumulated since she bought her first PC (a 286 running MS-DOS that ran the lovely word processor Word Perfect 5.1) in 1991. Half of those discs are probably corrupted. All those letters, documents and reports lost to history. There is a good 15 years of personal and professional work stored on those discs. This must be the downside to digital information – it can be lost forever so easily. How many people will still have their digital photos taken today in 20 years to show to their children or grandchildren? How about home videos from the 80s and 90s?